Speed Test Results Confirm: Do Not Attack Your Top 5 Problems! This post was inspired by my friend Steve Pile who after reading a letter I’d written to a colleague said it should be on Working Wider. Your group is totally overwhelmed. Demands outweigh capacity 7 to 1. There are no top priorities because now everything is at the top. What gets worked depends on who screams the loudest. The screaming stops momentarily once that issue gets attention. You’re virtually guaranteed the next scream will come from a former priority that was bumped down by the last scream. Scream, scramble, repeat. You could ask for more resources but that’s a long shot. Besides, can’t we work smarter? Of course we can! Start the interviews. Crank up Survey Monkey. Let’s go bottom’s up and have folks tell us the top problems we should address. We certainly don’t want to cram down change and we might be wrong. The results are in, there are no surprises but now you have a 15 slide PowerPoint deck ranking them with voting percentages next to each. The list is discussed, massaged, re-grouped and before you can say “whiteboard” five task teams are in place to go after the top five problems that have now morphed into “opportunities”. There’s even a steering committee to coordinate and hold each team accountable. And you’ve just added five new priorities to an already overloaded group. Plus, these are the five biggest, thorniest problems you’ve got. Scream, scramble, repeat. In my last post about Elon Musk, I stated that he returns to what physics refers to as first principles when working problems. First principles are truths that have been proven without meaningful exception. The applicable first principle in this case is that when any work system is used to its capacity, throughput speed, creativity and flexibility drop precipitously. Just as rush hour congestion grinds traffic to a halt, overwhelming demands drop workflow to stall speed. So how do you get out of this mess? Five principles apply. Reduce multi-tasking – the switching costs of moving between tasks are higher than most anticipate. Mentally separate your team into experienced architects and strong builders. Keep the builders focused on fewer tasks and only leverage the architects’ experience across efforts. Identify true bottlenecks – Most every work flow has bottlenecks where the capacity is drastically lower. Usually, the top ones are obvious and others can be found with time-based metrics. Some bottlenecks can be opened easily either with a few additional resources, capital, or contractors. Pick one and only one. Resolve it and then re-assess. Make sure everyone sees the improvement. Differentiate between springs and rods – Springs are tasks that more force can improve. Rods resist pressure and require redesigning the work system to change. Attack the springs quickly and segment your rods by potential impact and how hard they would be to change. Get a clear win quickly – The familiarity of our opening scenario infects people with a cynical attitude towards change efforts that makes it hard to see improvements even when they do occur. Pick one area to focus, nail it and get people talking about that before moving on to the next. Just as my opening vignette is familiar, the above five principles are not rocket science either. The challenge is not the science but the politics. When you say “no”, someone will immediately try to turn that back to a yes. It can come from bosses, customers or an employee who just doesn’t like being the bad guy. Arm yourself with data that defines today’s realities: Use schedule slips, bug reports, customer feedback and whatever to underscore that today is not delivering the value it claims. Show what the value equation really is, how long it takes and the ripples of frustrating waste left in its wake. Paint an immediate operating alternative: Use the above data to define real capacity of your group and add a ten percent improvement factor. Compare that with demand and present an aggressive but evidence-based alternative. Define the potential improvement: Using the bottleneck, springs and rods analysis, show what a reasonable change effort could yield in value/time. Express this in the measures that matter most to stakeholders be it revenue, profit, customer satisfaction, etc. Be sure to identify what it would take and if that were to be done internally, how much additional capacity it would take from “real work”. There were no surprises in the interviews and surveys because top problems stand above others. That also means they’re inherently “wicked”. 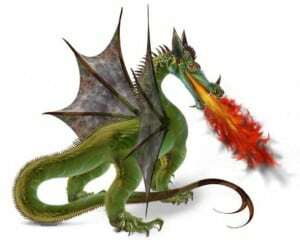 Wicked problems are dragons with tentacles that reach deep into people’s work habits, organization process and norms. They extend beyond any single team’s direct control. Taking on five wicked problems at once is suicide. The screaming and scrambling will only intensify. Focus. Pick one, or even a part of one. Give yourself some room and resources. Slay the first and prove to all winning is possible. Repeat.